May Blumenfeld, 81, of Syracuse, died Sunday, February 26, 2006 at Crouse Hospital. Mrs. Blumenfeld was a former hall monitor at Wm. Nottingham High School and a former member of Temple Adath Yeshurun and the Seniors group at the Jewish Community Center. 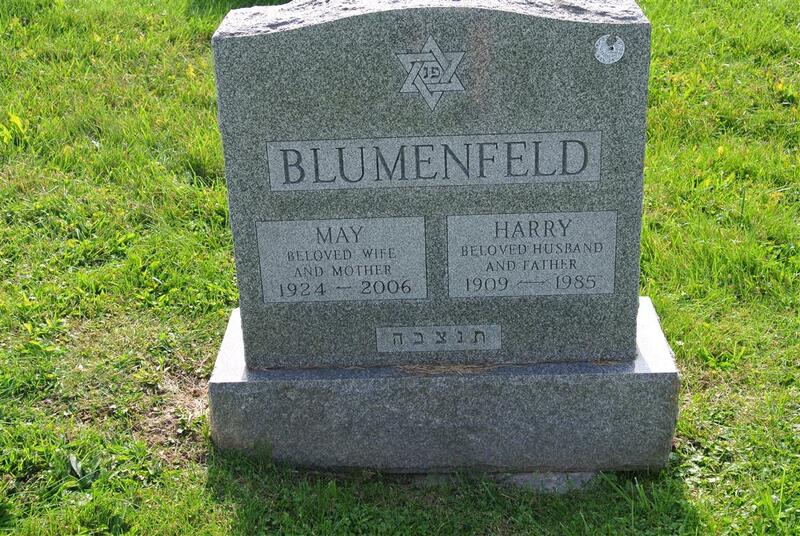 Mrs. Blumenfeld was predeceased in 1985 by her husband, Harry Blumenfeld. Survived by her son, David (Beth) Blumenfeld; daughters, Risa (Phillip) Fram and Marian Blumenfeld; four grandchildren, Harley and Zachary Blumenfeld, Andrea Fram Plotkin, and Lindsay Fram; and a great-granddaughter, Ellie Plotkin. Services will be conducted at 1 p.m. on Tuesday, February 28, 2006 at the Birnbaum Funeral Chapel, 1909 East Fayette Street. 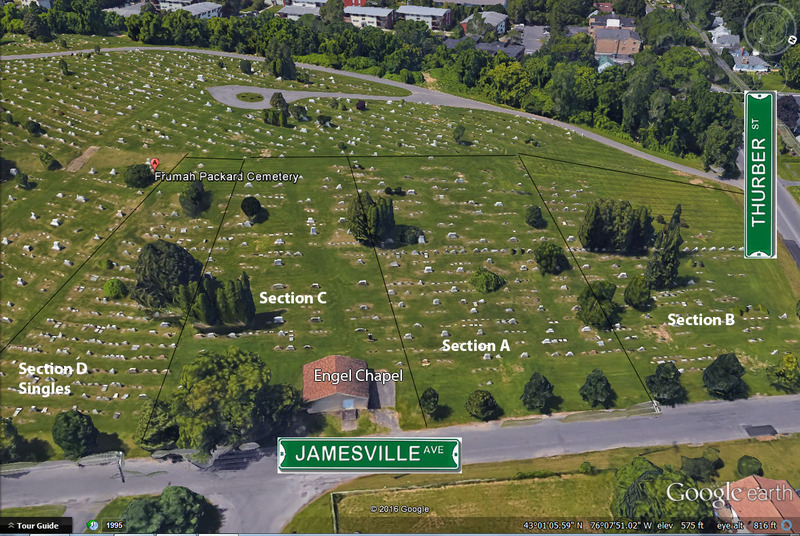 Friends may call at the Chapel on Tuesday from 12 to 1 p.m.. Burial will be in Frumah Packard Cemetery. Contributions may be made to the Foundation at Menorah Park or The Association of Retarded Citizens.